Manufacturers of electronic products today have an important responsibility towards the environment. While they are creating products meant to meet people’s needs and make their lives easier, they are also responsible for ensuring that the materials they use as well as their wastes do not harm the environment particularly the community in which they belong to. Most often, electronic devices regardless of size contain a certain amount of toxic chemicals. They, however, vary in the level of chemicals used. Studies have been conducted to determine the chemicals found notably in mobile devices. The analysis done by HealthyStuff.org, for one, has found that among the 36 mobile phones they looked into, the Apple products contained less toxic chemicals. For the study, the researchers used an X-ray flourescence spectometer to analyze the 36 devices. Each device was given a rating between 0 to 5 with 0 being the best. The products were then ranked whether they are chemical, component or overall. During the analysis, 12 common and hazardous chemicals were looked into. They included bromine, mercury and lead among others. Parts of the mobile device that were tested included the case, screen, solder, circuit board and others. Following the study, the researchers gave the lowest rating to the Motorola Citrus with a score of 2.56 while the latest iPhone products were also given the thumbs up. iPhone 4S and iPhone 5 were found to have low levels of chemicals at only 2.69 and 2.75 respectively. 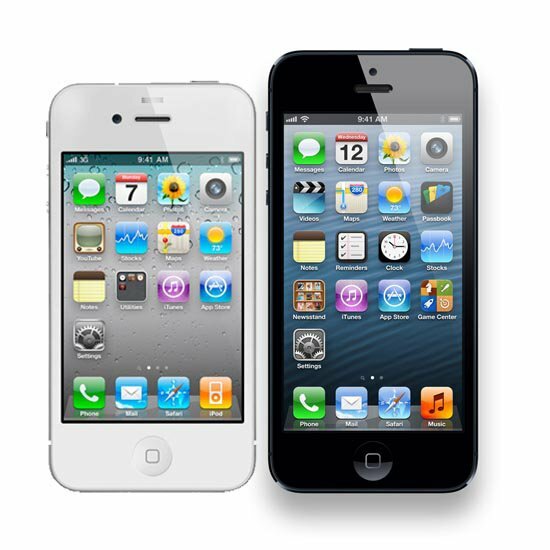 The iPhone 4S is the successor of the iPhone 4 and runs on iOS. It has a full range of features such as being able to play music, movies, TV shows, ebook, audiobooks and podcasts as well as texting capability aided by a voice assistant (speech to text). The iPhone 5, meanwhile, is the sixth generation of the iPhone with the same features as the 4S but with several new and updated apps including the Apple Maps and Passbook. New privacy settings for the user are also available. On the other hand, the iPhone 2G showed a high rating together with Nokia N95, Motorola W233 Renew and Palm m125 which got a rating of 4.5 and below. Other smartphones found to be eco-friendly were the LG Remarq, Motorola Citrus and Samsung’s Captivate and Evergeen. Apple is practicing a transparent policy when it comes to its environmental responsibility. Each year, it makes it a point to report on its carbon footprint for every product and every facility and ways to reduce it moving forward. Apple office locations are spread out worldwide but its main headquarters is in Cupertino, California. As of May 2013, it maintains a total of 408 retail stores in 14 countries.